Zaker Family Vision has outgrown it’s location and is moving Sept 1, 2013. We are staying within the same shopping plaza, but moving around the corner. Our larger location gives better parking and allows us to have more frames on display. We will now be between the Jewel/Osco and Loyola Medicine. I will get back to blogging soon. Sorry for the lapse, we’ve been busy with organizing the move and expansion. Can a Glaucoma Medication Help with Hair Loss? Posted by Zaker Family Vision in " In the News"
Amongst the various medications that we use to treat glaucoma, a class of drugs called prostaglandin analogs are used specifically for their side effects. Latisse (bimatoprost ophthalmic solution) is a prostaglandin analog available by prescription to grow longer, thicker, darker and more eye lashes. This FDA approved treatment is brushed on to the base of the upper eye lashes with an applicator. Allergan, the company that makes Latisse, is currently undergoing clinical trials to see if the same benefits will help with male and female pattern baldness. They are looking to see if the same benefits of hair growth will work on the scalp hair follicles as they do on eyelash follicles. Theoretically it should work as both follicles are quite similar. They currently have 220 men and 172 woman with pattern baldness in their Phase II clinical trials to see if a solution of bimatoprost will stimulate hair growth. Keep your eyes open for future posts regarding glaucoma drops and hair loss as results are published from this and other studies. Get the bottle of champagne ready, it’s almost time for the New Year’s countdown. 10, 9, 8, 7, 6, 5, 4, 3, 2, 1, OUCH! Make sure your champagne is chilled below 45 degrees as a warm bottle is more likely to pop unexpectedly. Don’t shake the bottle as the build-up of pressure can send the cork with little or no assistance. Point the bottle away from everyone holding it at 45 degree angle and place a towel over the top of the bottle. Grasp the cork firmly and gently twist and pull the cork off. Wait, Those Are Their Real Eyes? Heterochromia iridium is a condition that one eye has a different color than the other. It can be a completely different color altogether or it can be a slight variation in the pigmentation and color. This can be congenital or an acquired difference between the irises. If the heterchromia is an acquired change, it may be a side effect from certain medications or there may be some other issues with the health of the eye and/or body that need to be examined. 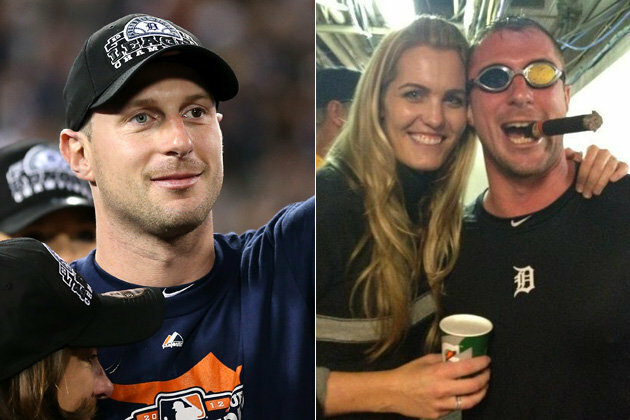 Goggles were made for Detroit Tigers pitcher Max Scherzer to “match” his heterchromia for a champagne celebration. Look closely the next time you see one of these celebrities in a movie or on TV to spot their different eye colors. As each new school year approaches, we see many 5 year olds getting their first eye exams for their kindergarten requirements. A problem that seems to sneak past parents is amblyopia (functional lazy eye). With amblyopia, one strong eye continues to visually develop and the other weaker eye is functionally ignored or suppressed by the brain. If the blurred weaker eye remains untreated early in life, then the visual potential may be reduced for life. Major causes of an amblyopic eye include; an eye turn (strabismus), opacities in the eye and unequal focusing between the eyes (refractive) causing blurred vision in one eye. Parents will notice a large eye turn but not subtle misalignments. A small eye turn may cause just as much vision loss as a large eye turn. Treatment depends on the cause of the turn and it can then be corrected with glasses, prisms, or surgery. Congenital cataracts, inflammation within the eye, tumors and other eye problems all can cause amblyopia by blocking clear vision to the eye leading to the suppression and amblyopia. Infant wellness eye exams can pick up many of the issues and some cataracts can be detected by a pediatrician shortly after birth. Refractive amblyopia occurs when there is a large difference in the prescription between each eye. The brain wants to do the least work possible and will pay attention to the eye that has a clearer image or that requires the least focusing power. We treat it aggressively with the constant use of eyeglasses allowing the poorer seeing eye to focus light properly onto the back of the eye. This allows the brain to get equal stimulation for vision from each eye. In many cases, the use of eyeglasses alone will not alter the connections that the brain formed. For those patients, a prescribed therapy regimen of patching the stronger eye forces the child to use the weaker eye. If problems arise in the compliance with patching, we can blur the vision in the stronger eye by altering the prescription or with special eye drops. Patching may take weeks to months to help balance out the visual clarity between the eyes and may continue on a part time basis for a few years. The best time to treat amblyopia is early in life. If an amblyopic eye is left untreated a permanent loss in vision will likely occur and depth perception of 3D images may be lost. Also if untreated, should the stronger eye develop vision loss due to an accident, infection or inflammation, the poorer seeing amblyopic eye may be all that remains. This then leaves a patient with a permanent blurred view of the world. Treatment and diligence by parents is key for the success of clear vision in both eyes. If amblyopia isn’t detected until after early childhood, treatments may not be successful. Color vision can be a very complex topic to discuss because of the various deficiencies that occur. Generally, about 8% of males and 0.5% of females suffer from color deficiencies and the majority of problems lie with red and green colors. Who is to blame? Without getting into a lesson on genetics, if a male has a red-green (R-G) deficiency it is because his mother was either color deficient or a carrier of the trait. A father who is has this problem cannot pass it onto his son. It is rarer for women to have this trait because her father would have this problem and her mother would either have it as well or be a carrier of the trait. Confused? Bored? Sorry, let’s get into something more interesting about red-green color deficiencies. “My son couldn’t see the numbers in your book; does that mean he can’t see any colors at all?” No, red-green deficiencies still perceive color, but depending on how severe or deep the problem is the spectrum can vary. 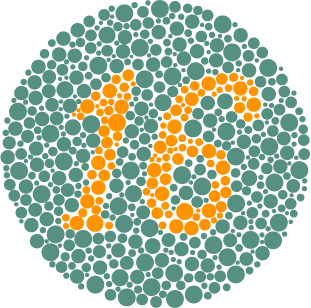 The term color blindness is misleading because to see no colors at all, achromatopsia, is extremely rare and quite debilitating. 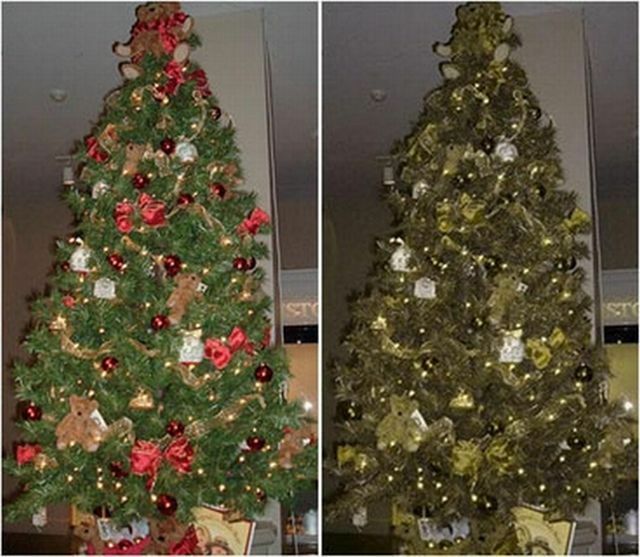 A R-G color deficient person will see different variations of red-green colors and hues. These individuals have been taught that grass is green, stop signs, fire trucks and fire hydrants are red, so they can associate similar colors to those standards. An early life problem is when a teacher asks students to reach for their red crayon to color a stop sign or a barn. The maroon, red-orange, red, magenta, and pink crayons may all look quite similar. Later in life, trying to distinguish between results on a litmus paper in chemistry class will be difficult to decipher as well as viewing colored maps, picking out matching clothing and distinguishing between different levels of cooked meat. A color deficient person may have difficulties with many professions including; photographer, artist, commercial aircraft pilots, electricians, and various designer and engineers professions. Air Force pilots, different levels of military and law enforcement, firefighters and train engineers have strict color vision requirements for positions. Celebrities with color deficiencies include former President Bill Clinton, Bob Dole, Matt Laurer, Paul Newman, Jack Nicklaus and Bing Crosby. The stage set of White Christmas may have looked a bit different to Bing. This Fourth of July, as you and your family are sitting around hundreds if not thousands of people watching fireworks displays, think that 8% of men around you will not experience the fireworks display as you will. They will still see the color fireworks explode in the air, but those bright greens and reds will appear more washed out to them. As many Fourth of July celebrations start this weekend, please don’t drink and drive and be careful when it comes to the use of fireworks. The State of Illinois doesn’t permit the selling or use of many different types of fireworks including roman candles, bottle rockets, firecrackers and M-80 style of fireworks. That doesn’t stop individuals from crossing the border to purchase these items from neighboring states. In Illinois, you can purchase sparklers, smoke bombs and novelties including snakes and snaps, but these do not come without their risks. This is especially true for sparklers as they burn at 1200 degrees Fahrenheit. No, that is not a typo, 1200 degrees Fahrenheit. If certain metals can melt at that temperature, imagine what that would do to human tissue. 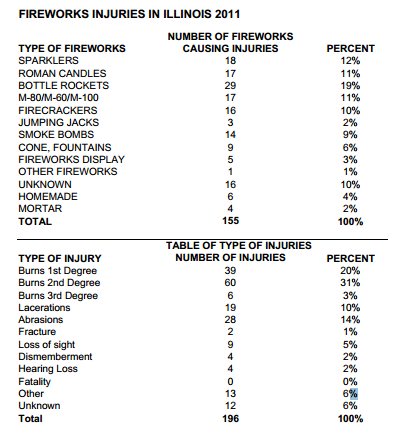 Below are the reported firework injuries to the Illinois State Fire Marshall in 2011. These are only the reported numbers from hospitals and not all injuries that were treated at home or within private medical offices. At Zaker Family Vision, we typically see burns around the face and foreign bodies embedded in the eye tissue during the few weeks around Independence Day from firework accidents. If you plan to use fireworks this season, please protect yourself and others properly using safe distances, eye protection and protective clothing. I just finished one examination with a patient and called the next patient into the exam room. She was a new patient, not wearing glasses and had a large abrasion on her nose and forehead. My questions immediately went into the head trauma, and complications that may have occurred besides the visible scratches. She told me how she tripped and fell face first into a brick wall. While telling her story, she reached into her purse and pulled out her old glasses. The frames were mangled and then she pulled out the 10 shattered pieces of her lenses. Luckily, none of the pieces impaled her skin or more importantly either eye. Accidents happen and her story is a perfect example why the use of impact resistant lenses is important for most patients. Some patients may be deterred by the added expense of a polycarbonate or trivex lens, but the added level of protection is the difference between a lens that may shatter versus a lens that is simply scratched. In addition to shatter resistance, polycarbonate lenses have UV protection within the lens to protect the eyes from the sun’s harmful rays. 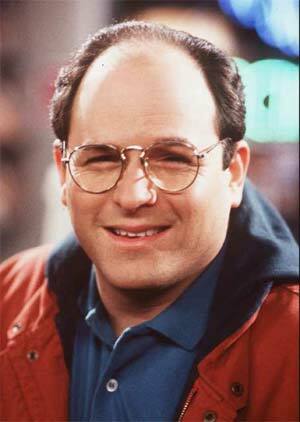 Personally, I (Dr. Joe) wear my polarized polycarbonate sunglasses most of the time when outdoors, even on cloudy days. A few years ago, I was cutting the grass in my backyard when all of a sudden the lawnmower blade hit a dense wood chip sending it at my face. The wood flew and hit the dead center of my right lens. The force raised the frames on my face and scratched the lens, but it did not shatter and my eye was protected. “Dr. Zaker, I want to wear contacts, but I’m afraid it will go behind my eye.” This is a very common concern that patients have when they think about wearing contact lenses. Don’t be afraid, a contact lens does not have the capability to go behind the eye. We thank the conjunctiva for this protection. 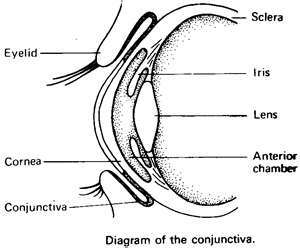 The conjunctiva is a clear tissue that covers the entire front surface of the eye except for the cornea. 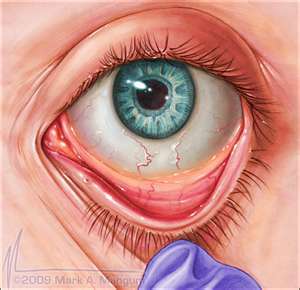 It fully covers the sclera, the white of the eye, and continues towards the area where the eye lid and sclera come together. 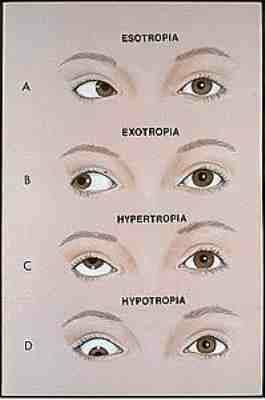 It then continues along the inside portion of the eyelid. The diagram below shows how the conjunctiva is one continuous tissue and it spans the gap between the eye lid and eye-ball and because of this, there is no way the contact lens can go behind the eye. After rubbing their eyes too hard, patients may lose their contact lens in the far corners under the eyelids. Most of them are able to remove the contact lens on their own, but some who are unable remove it. For those patients that need assistance, we are able to remove the contact lens without complications. Once again, don’t worry, your contact lens will not go behind your eye. Most people are familiar with nearsighted vision, far sighted vision and the age related changes that typically occur over 40 years old affecting near vision. These are all called refractive errors. Patients with nearsightedness typically have the ability to see things up close rather well without glasses or contact lenses on their eyes. Their distance vision is quite blurry making it difficult to see the board in school, street signs while driving or a very common complaint, the guide on their television. Farsighted people tend to have an easier time looking at things far away when their eyes are most relaxed and blurred vision as an image gets closer to the face. The closer the object is to a farsighted person, the more difficult and more blurred out the image becomes. Presbyopia is an age related loss of focusing ability that affects everyone as they get older. A lens inside of the eye, the crystalline lens, does not have the overall ability to change shape in order to focus light and thus causes blurry vision. Just look at that person over 40 years old without glasses and see if they are starting to move their book or menu away from their face, they move it away because it puts less demand on the eyes to focus. Some patients call this age related change farsightedness because they can act quiet similar, but presbyopia is an age related change that affects everyone. A near sighted patient may be able to fend off reading glasses or bifocals because they can use the natural ability of their near sighted eye in order to read, but believe me, they have the age related changes too. “Doctor Zaker, my last eye doctor told me I have the stigma”. Optometrists hear this all of the time. Patients seem to be frightened of astigmatism thinking of it as a disease. Just like nearsightedness, farsightedness and presbyopia, astigmatism is a refractive error causing blurred vision. Most people will have some astigmatism at some point in their lives. We typically associate astigmatism with an abnormal curvature of the cornea, the clear dome on the front of the eye. While that is the most common source, we also have that crystalline lens inside of the eye that causes some astigmatism as well. Let’s ignore the astigmatism caused from the inside of the eye and think about the cornea. Ideally the cornea is perfectly round sphere like a basketball. It would focus light inside of the eye to a very sharp point like a magnifying glass. Now take that same perfectly round cornea and/or basketball and stretch it out on one side. Now it looks like the side profile of a football. There are 2 curves that are distinctly different from each other and various curves at different angles between. That is astigmatism. You have light focusing in the eye at various different locations because of the different curvatures. An astigmatism affects distance, near and intermediate (computer) distances. A few of the more common complaints for patients with under or uncorrected astigmatism are blurred vision at night, glare with headlights and eye strain when working on the computer or while reading. Just like the other refractive errors, we can correct for astigmatism with glasses or contact lenses. When we change the astigmatism prescription in eye glasses the light is being bent in a different way going into the eye. The eyes and the brain aren’t used to this new angle of vision and this causes some patients feel like the floor is tilted, a temporary fishbowl effect, or a feeling of their eyes are being pulled. After some adaption, most of the time less than a week, those feelings go away and you just have clear comfortable vision. For patients who want contact lenses, we correct for astigmatism with toric contacts. These lenses are typically more difficult to fit as we need to closely monitor the alignment of the contact on the eye. All contact lenses need to move on the eye, but we need the alignment to be as stable for the toric lenses as the vision can become poor if the lens rotates. Different toric contacts have different stabilization designs allowing for maximum clarity throughout the day. Eye allergies, dry eyes or rubbing of the eyelids can cause the contact lens to rotate. This rotation will temporarily blur the vision. This may happen a few times throughout the day but it should not interfere regularly. If it is occurring regularly, we may need to treat the inflammation on the eye lids causing this problem or switch to a different type of toric contact lens. A patient may be nearsightedness or farsightedness, but astigmatism affects all areas of vision. Some people only have astigmatism and no other refractive errors or any combination between both eyes. Once those age related changes occur, then we have presbyopia in the mix as well. I hope this takes some of the stigma away from astigmatism. If you have any other questions, come see one of our 3 family Optometrists at Zaker Family Vision.